“Greece grows more than 1,500,000 acres of olives. They can be found in many areas of Greece such as Volos, Amfissa, Agrinion and many take the name of the origin they come from. It is the variety most commonly found in Greece and covers at least 50% of the Greek olive production. 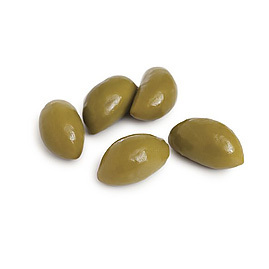 The shape of these olives is mostly round, they have an elastic skin and their texture is firm. They are kept in brine solution and have an excellent flavor. 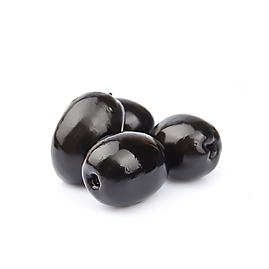 This quality of olives is grown in the Southern region of Greece, Calamata, hence the name, and is considered the “caviar of olives” amongst the world over. It attributes for 15-25% of the Greek olive production and nowadays it is grown in many areas of Greece. 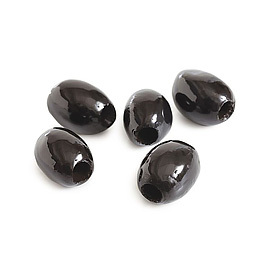 These olives have a cylindrical-conical shape with an intense black color and a characteristic tip at the end. They are very tasty and at times they are incised lengthwise by cutting into the skin and port of the flesh so for the brine or the virgin olive oil in which they are marinated can penetrate the olive and enhance its flavor and aroma. 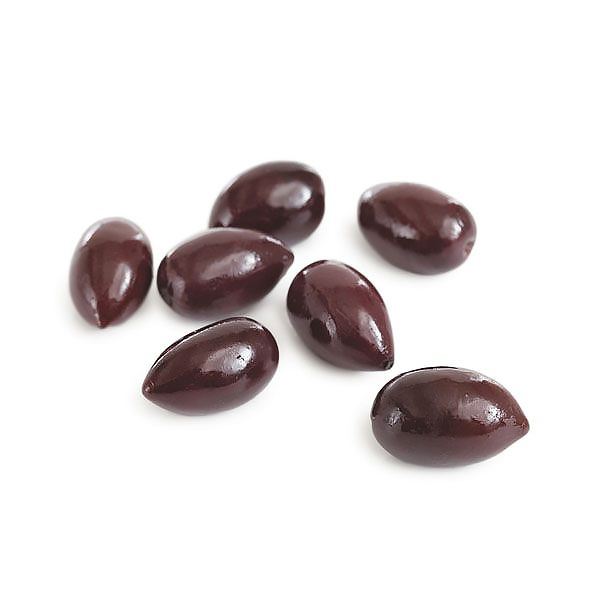 These olives are mainly grown in Northern Greece in the area of Chalkidiki, hence the name. They are gathered one to two months after the gathering of the green olives so that the olive reaches on the tree its optimal maturity. Other varieties exist as well, like Megaritiki and Thruboelia which are mainly treated with salt as opposed to brine and thus their skin wrinkles. They have a deep black color, very tasty due to the soil preparation and are to be used in salads and snacks. These are the some types of olives as the black olives but are collected from the trees prior to coloring thus in the early stage of maturity. They are grown in Northern Greece in the area of Chalkidiki. They are very popular olives as they can be further processed and ore very large in size. They ore elongated with a characteristic tip at the bottom. The most common size those olives con be found in are 100 – 130 pieces/kg. Some comments as for the black olive varieties. 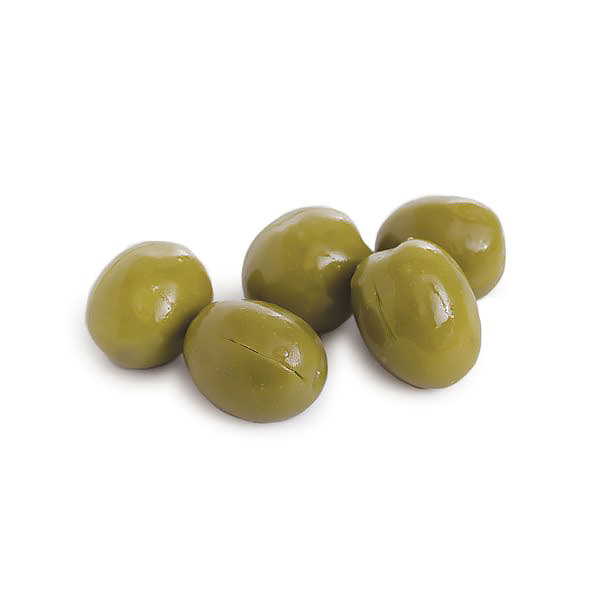 Sizes that these olives ore usually found as green olives ore 140 – 230 pieces/kg.